Welcome to The Design Haus in Kimmswick, Missouri! Our little boutique is the perfect place to find those one-of-a-kind décor items and knick-knacks you won’t find anywhere else! 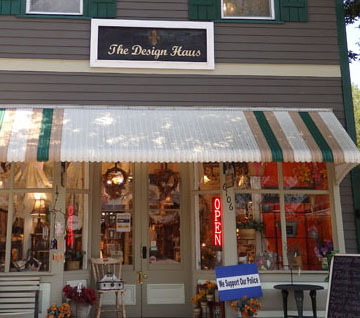 Enjoy a day of shopping in historic Kimmswick. Tour the sites and enjoy the charming shops. Many of our handmade goods—like soaps, candles, and jewelry—are created by local vendors and designers. We are proud to support the Kimmswick Community!